The Gordon Lewis Center for Christian Thought and Culture exists to engage the needs of the world with the redemptive power of the gospel and the life-changing truth of Scripture. The Center is focused on serving the greater-Denver community by using the disciplines of theology, philosophy, and apologetics to explore the question of what it means to be a Christian in our world. Driven by the Mission of God, the Center serves as both an outreach to those who do not believe as well as to Christians in need of assurance of their faith. This means that the Lewis Center seeks to engage the Denver community in ways that emphasize the objectively true and subjectively transformational nature of Christianity. Due to the world-class scholars on campus at Denver Seminary, we will host at least two lectures per semester on topics within the broader areas of apologetics, philosophy, cultural criticism, and theology. Since our community needs access to robust Christian education, and our theology and apologetics students desire to participate in this educational mission through teaching, we therefore plan to host a lay learning series which would be taught by students. Papers written by students in the Apologetics and Ethics program and alumni are valuable resources. At the discretion of the professors, some of these will be topically arranged and made available to the public on this website. We are proud to name our Center after Dr. Gordon R. Lewis. We seek to model and encourage the kind of scholarship for which he is known, in both philosophy and theology. Dr. Lewis's passion to reach the lost though biblical truth inspired us to create a center dedicated to this kingdom-focused end. We also know Dr. Lewis as man who speaks the truth in love (Ephesians 4:15). He is deeply committed to making biblical truth known, but in a loving and caring way. Dr. Gordon Lewis, senior professor of Christian philosophy and theology, joined the faculty of Denver Seminary in 1958. He earned a Ph.D. from Syracuse University and also studied at Baptist Bible Seminary, Gordon College, Faith Theological Seminary, and Cornell University. 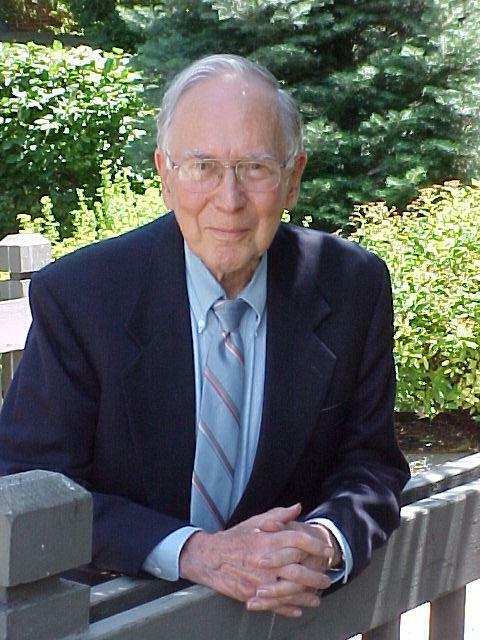 Dr. Lewis served as a president of the Evangelical Theological Society (1992) and the Evangelical Philosophical Society. He founded Evangelical Ministries to New Religions. He served as a visiting professor at Union Biblical Seminary, Yeotmal, Maharashtra, India. He published one of the earliest evangelical critiques of transcendental meditation in What Everyone Should Know about Transcendental Meditation, which has been republished in Bombay. Dr. Lewis’ books include Decide for Yourself: A Theological Workbook, Confronting the Cults, Judge for Yourself, Testing Christianity’s Truth Claims and, with colleague Dr. Bruce Demarest, Challenges to Inerrancy, and the three-volume Integrative Theology.